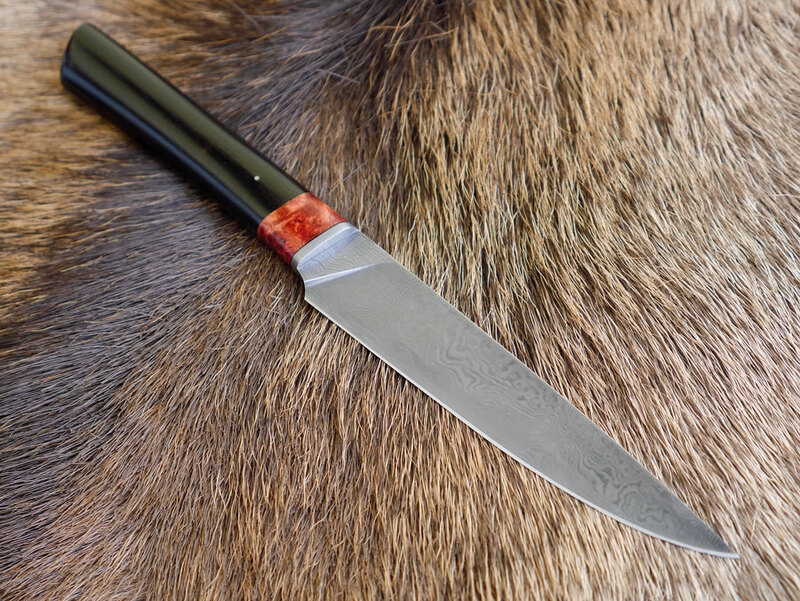 Slim and elegant damascus steel knife for versatile use. 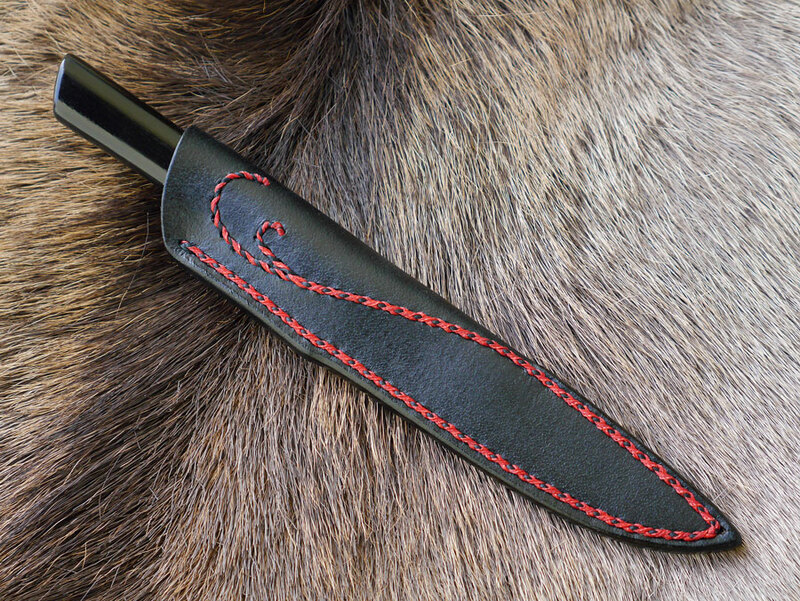 Sheath decorated with ornamental sewing. 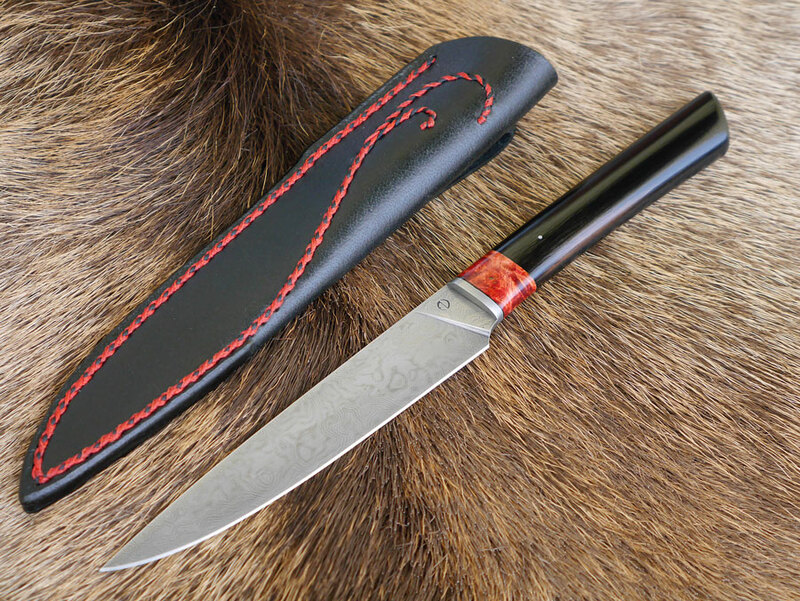 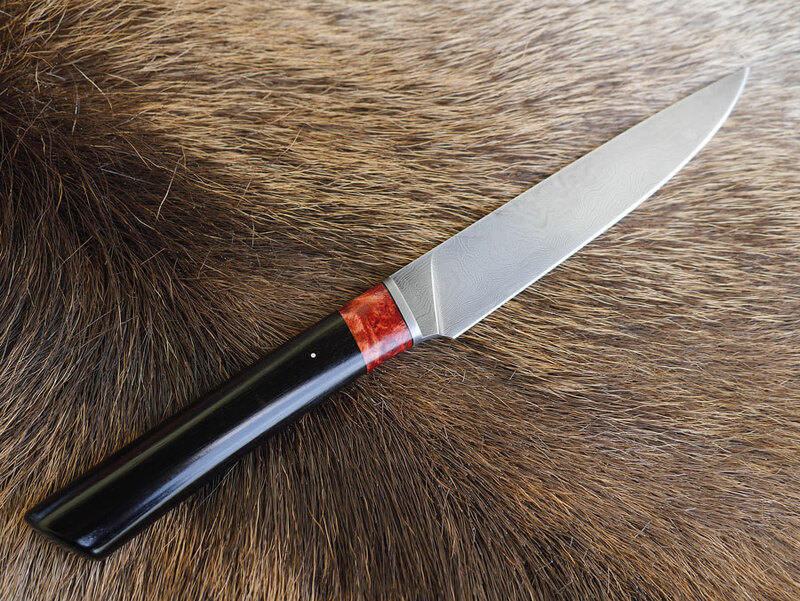 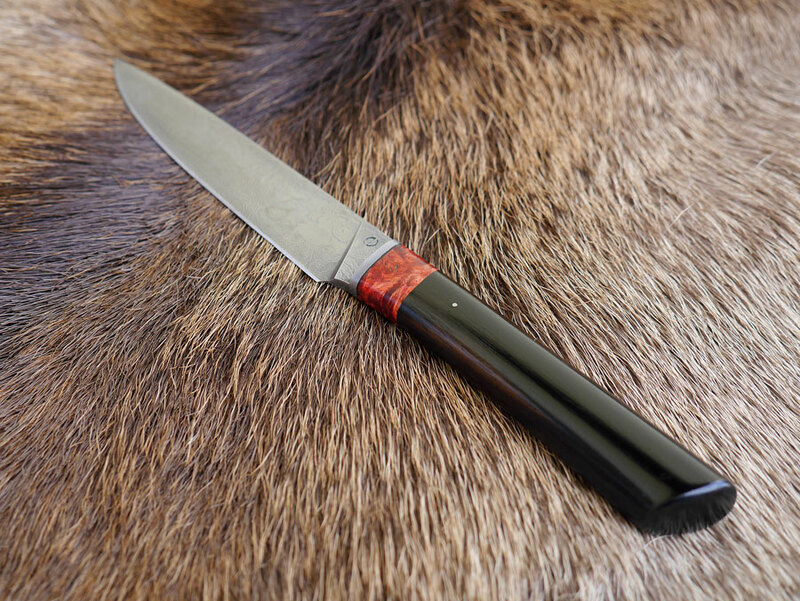 Dimensions: overal length 8.5 in, blade length 4.5 in, blade thickness 0.11 in.